Space One Eleven is gearing up for our art classes this fall and I wanted to share with you and Everest Academy the classes we will be offering. We offer after school art classes for children and youth as well as adult classes. I am sending you links to the different classes we offer. 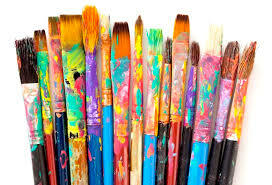 Tuition assistance is available for art classes for grades 2-12. Our art history class is great for a high school student interested in art or even a parent who would like to learn more. You are welcome to call or email me if you have any questions.